I didn't get my shirts done in order to share them with you today. Got sidelined by a new med and just didn't feel well enough to push through. So...ya'll are getting reruns today! I thought I'd share a former creation. 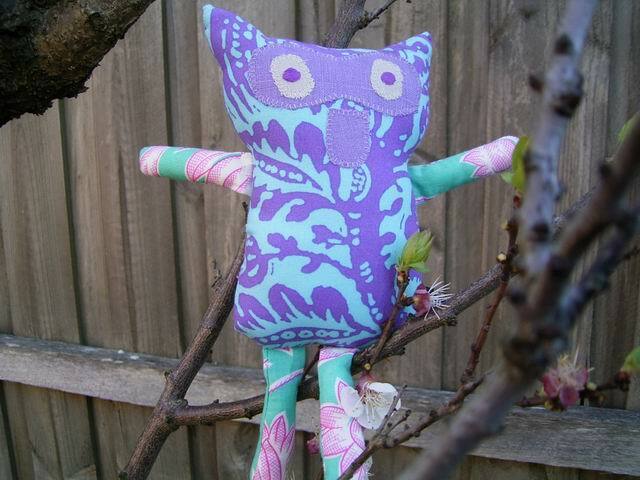 This was made a couple of years ago for a customer when I was sewing children's designs. I used vintage and new fabrics and then tea-dyed them to blend in the new fabrics with the old. It's a great way to use up bits and pieces of vintage textiles. I also used some embroidered bits from old tea towels. 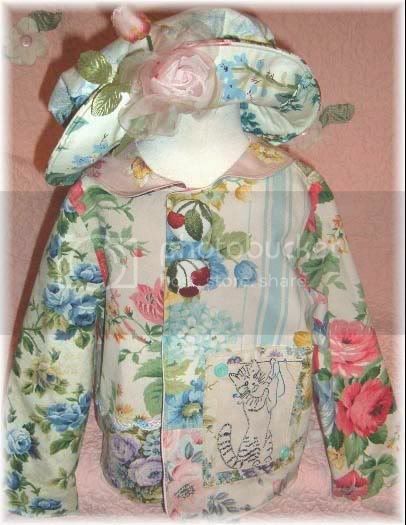 The buttons were covered with scraps of vintage linens. You can see more about vintage textile covered buttons here. If you're interested in tea-dyeing, here are some tutorials. Gorgeous jacket, and a great idea. Thanks for the link to my tutorial.